His success has been driven by his underlying belief that to achieve longevity in the acting business, you must look to diversify yourself and become as flexible as possible. In the 1990s Underwood starred in a plethora of made for TV movies. In 1990 he won his first NAACP Image Award, Best Actor in a Television Movie, for his role in NBC’s Murder in Mississippi. Underwood received another NAACP nomination for his portrayal of Jackie Robinson in HBO’s Soul of the Game. His second NAACP Image Award came in 1998, with the release of CBS’s dramatic miniseries Mama Flora’s Family. The NAACP honored Underwood twice more in 2000. He received the award for Outstanding Actor in a Drama Series for his starring role in City of Angels, and was also awarded for his big screen performance as a Marine Captain in the film Rules of Engagement. Underwood’s movie career has been largely successful. Most recently, he held the male lead opposite Julia Roberts in Steven Soderbergh’s Full Frontal. His work as of late also includes a costarring role in the comedy movie Malibu’s Most Wanted. Underwood made his full length directorial debut with the part love story, part supernatural thriller My Soul to Keep. As director, executive producer, writer, and star of the dramatic short film The Second Coming, Underwood played Jesus Christ returning to earth. In addition, he produced and starred in the short film Sister, I’m Sorry, and has directed five music videos. Underwood is involved in numerous charitable organizations. His dedicated support of the Muscular Dystrophy Association won him the 1993 Humanitarian Award, presented by the Los Angeles Chapter of MDA. He is also co-founder of Artists for a New South Africa (ANSA). Founded in 1989 with Alfre Woodard, Danny Glover, Mary Steenburgen and other friends in the arts and entertainment community, ANSA supports a democratic South Africa with equal rights and opportunities for all citizens. Do you want to hire Blair Underwood? Directly request a quote. In 48 hours we can send you the availability of Blair Underwood If you would like to book Blair Underwood, Entertainment Booking Agency is the right place. We will offer you the best price and contact the management or we directly contact Blair Underwood. For corporate appearances or speaking engagements you can contact our agents and the will help you true the process. Tags: hire Blair Underwood, Blair Underwood booking, book Blair Underwood, Blair Underwood appearances, find more information on booking Blair Underwood for appearances, Blair Underwood speaking engagements, Blair Underwood endorsements/spokesperson, Blair Underwood appearance fees, Blair Underwood booking agency contact info, biography of Blair Underwood, Contact an artist booking talent agent find a speakers bureau that can book Blair Underwood, speaker booking agency for Blair Underwood, Blair Underwood booking agency, Blair Underwood booking for corporate event. EBA is one of the biggest entertainment booking agencies in the World. We book hundreds of celebrities, artist, athletes and speakers in a year. Important to know is that we are not claiming to be the management of Blair Underwood. 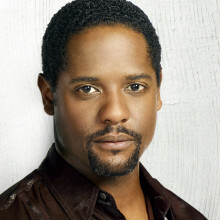 We are not the official agent for Blair Underwood. Companies from around the globe book these artists and speakers true our company be course we have one of the biggest networks and we always have direct contact with the artist or the management. We help you to find the right celebrities for your corporate of private events. Please contact one of our agents to get free advice and we will help to get the world-famous artist on your party.